Are you looking to create a membership site, or to add a members-only community to your existing website? Membership websites offer a great opportunity for bloggers and online businesses to monetize their content and to sell digital products. In this blog post, I’m going to share the 10 top tools for creating a membership site. MemberPress is a WordPress plugin that lets you build WordPress membership wesbites, easily. You can add it easily to your website and instantly set up a membership payment process for your content. MemberPress works with any WordPress theme – even custom ones. Plus, they also offer the other plugin they created, Affiliate Royale for affiliate programs, with the Business and the Developer plans. Brilliant Directories is a directory software that you can use without any other plugins. They offer all kinds of directory solutions, such as industry directories, business review sites, classified ad sites, and of course, membership sites, among others. Brilliant Directories aims to be an all-in-one solution that you can use for all of your directory needs; use it to design your website and populate it with content, as well as to manage all of your members, easily. You can design your website with your own branding and then add all kinds of different types of content, such as blog posts and articles, coupons, events and classifieds. In terms of monetizing, you can set up recurring payments for your members, and you also have the option to sell and manage banner ad spaces. Plus, every plan includes premium hosting for your website and email support for any issues or questions that might arise. Wild Apricot is one of the top options when it comes to membership websites. You can use it to build a new website, or you can connect Wild Apricot to your existing website if that is the case, and add directories, membership forms, event calendars and so on. And if you have a WordPress website, don’t worry as the tool integrates easily with the popular website platform. Above all though, Wild Apricot is a great membership management software. Easily set up memberships as you wish, set up different payment plans and subscriptions, automate renewals, add members-only content and much more. You can also use it promote events and gather attendees and registrations; for example, you can automate event reminder emails and other promotional tactics and you can accept payments for event registrations. Another cool thing is that they also offer apps for iOS and Android devices, so that you can manage your website and its members from your phone, easily. Kajabi is an all-in-one solution for selling your content online – from online courses to membership sites, there are numerous opportunities for monetizing your knowledge with Kajabi. Use it to create landing pages for your products and services, membership sites, training portals and all kinds of digital products – and you’ll also have access to their extensive library of beautiful templates to choose from. Accept payments easily, and set up marketing automation to make more upsells, easily. Plus, Kajabi integrates with tools like Zapier, MailChimp and Google Analytics. We’re always discussing WordPress themes, tools and plugins, but what about Squarespace users? If you’re on Squarespace, you can try MemberSpace, a tool for adding a membership business to Squarespace websites. The way it works is very easy; you choose what pages on your website you want to protect, add the content and then start charging for access to it. You can create all kinds of different plans, add free trials and charge for recurring or one-time fees. 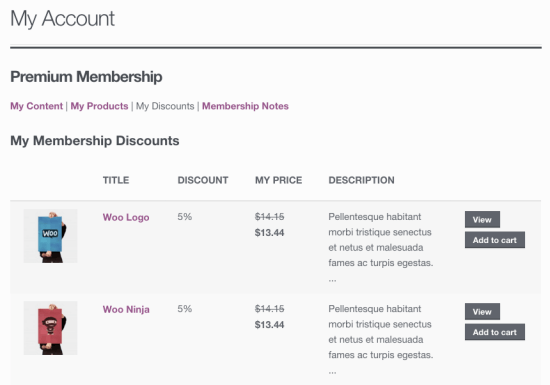 You can also set up drip content, create coupon codes for members and access your member analytics. Memberful is a membership software that can be connected with all kinds of websites, including ones on WordPress or Squarespace. 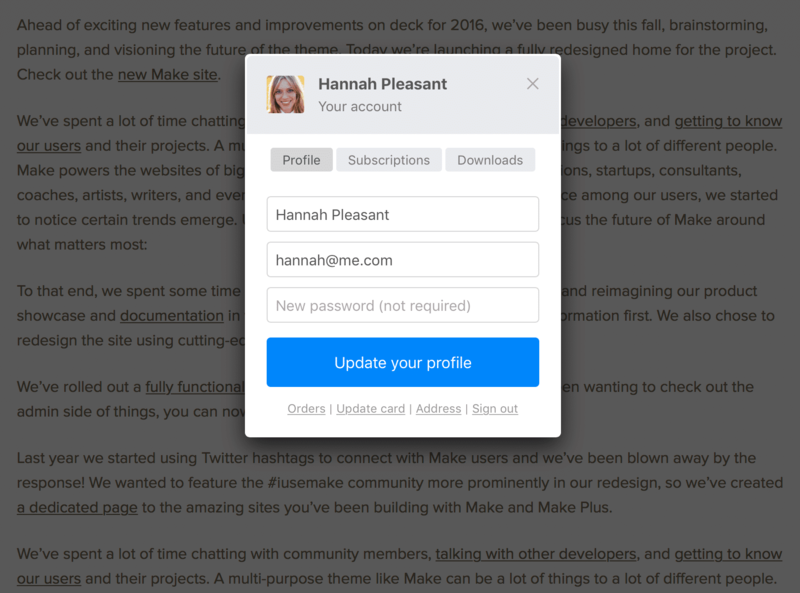 Use it start charging for your content, to sell subscriptions, as well as to set up members-only communities. Then, easily manage your members with complete access to their information, send them email newsletters by integrating with your MailChimp or Campaign Monitor account, offer discounts and free trials and much more. 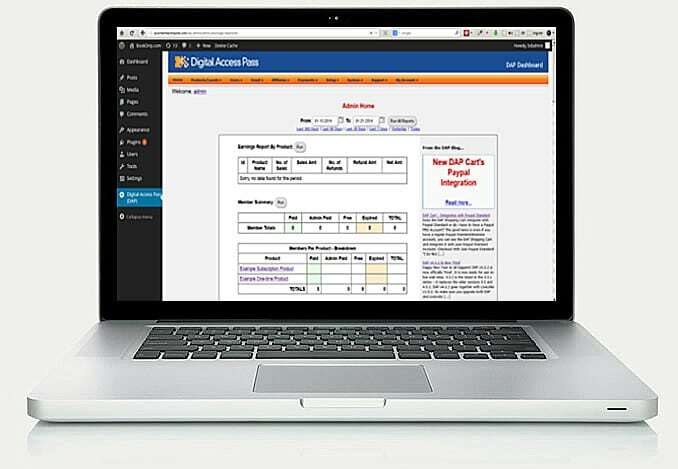 Digital Access Pass is WordPress membership platform that offers complete membership site automation: payment, content delivery and email marketing, all in one tool. In terms of payment, you can accept members for free, or charge a one-time fee or set up a recurring subscription. They also allow for different useful automations; for example, you can use their pre-scheduled autoresponders to engage your members. In terms of your content, DAP offer content dripping, for slowly rolling out all kinds of different types of content, such as .doc and .mp3 files. The software integrates with different tools and plugins, such as forum plugins for adding a forum to your website and with email marketing tools like MailChimp and GetResponse. 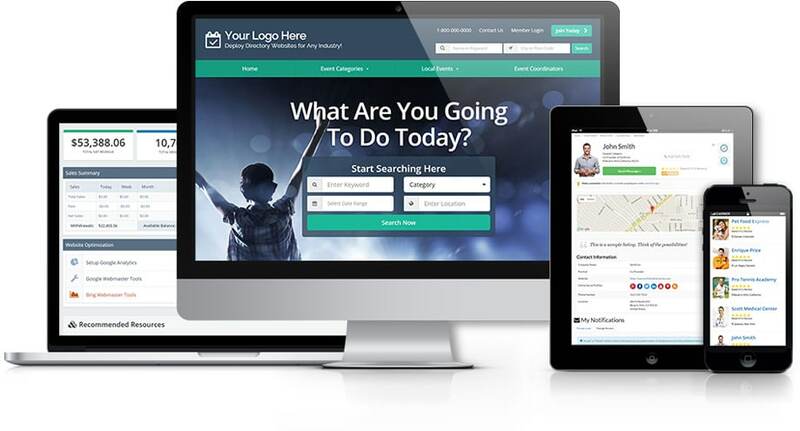 EasyMember Pro is a membership software for creating secure and profitable membership sites. Not only that, but they also offer affiliate management so that you can get your members to help promote your website. Set up all kinds of different payment methods, including setting up different membership levels, and easily manage your members and offer them coupon codes. EasyMember Pro will automatically back up your website to your dashboard, so you can rest assured you’re not losing anything important. Plus, it integrates with all the popular autoresponders and you can add all kinds of different payment options, such as PayPal, ClickBank and Payza. WooCommerce is one of the most popular e-commerce solutions for online stores and with the WooCommerce Membership plugin, you can now also create a membership system that connects with your store. You have multiple options and complete control over how you sell and offer memberships to your visitors and clients, as well as over how you offer your gated content – including dripping content. You can even hide specific products to non-members, and offer special discounts and offers for existing members. 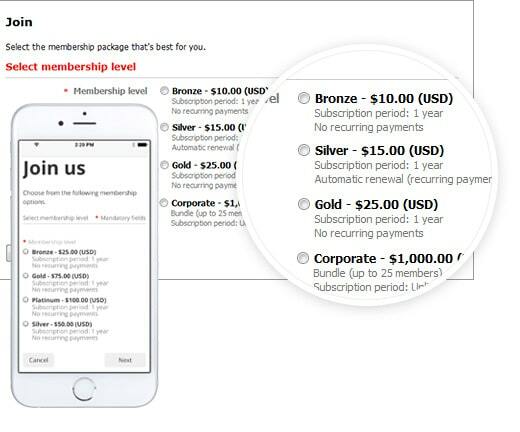 Plus, you can easily manage your memberships and see all the information you need for any one of your members and subscribers. Zenbership is a free-to-use open source membership CRM platform designed with online businesses in mind. But even though you can download the software for free, don’t underestimate its capabilities – in fact, it has a lot of very useful features for online businesses. 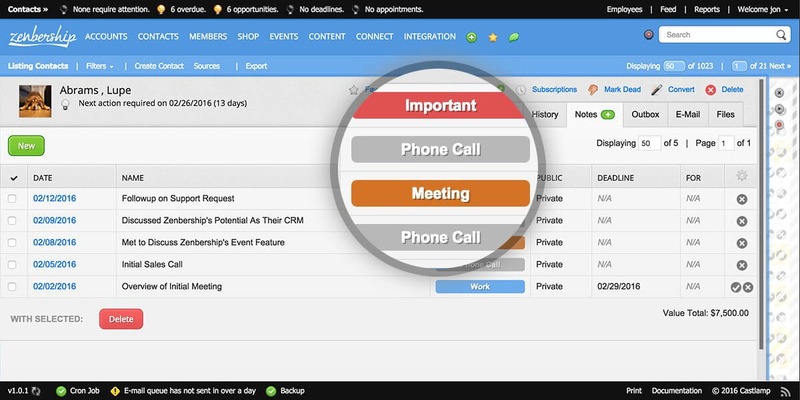 The tool comes equipped with a built-in CRM tool to help you manage your leads and turn more of them into members. Plus, you can automate your email marketing with drip and double opt-in campaigns and integrate with social media to help you promote your service. The software can also be used for event management; create event pages for online and offline events, set up your pricing if that’s the case, track your attendance and even contact the attendees. As I mentioned earlier, membership sites can be a great way for bloggers and online businesses to monetize their knowledge. And with all of these easy-to-use tools at your disposal, creating a membership site is easier than ever. Do you have a membership site? If so, what software are you using and what do you think? From last few days I was thinking about tarting a membership site and landed here today. it is really good to learn. I was not aware of any of these tools. Thanks for sharing. Great Post! I run WooCommerce Memberships myself over at woorefugee.com It’s a pretty powerful plugin… It’s hard to go wrong. You can also use WooCommerce Groups / Subscriptions.